Fun Fact: The Greenland coastline is longer than the distance around the equator. 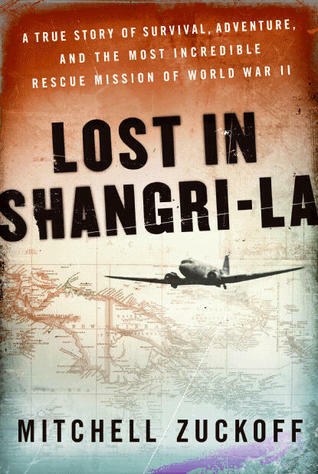 Review Summary: Another awesome example of narrative non-fiction from Zuckoff, packed with adventure, drama, and a personal touch that makes the reader feel like the know the people involved. During WWII, planes routinely used Greenland as a staging point to get from the US to Europe. From this story, it seems as though planes almost as routinely ended up crashing due to the wind and poor visibility! In Frozen In Time, a B-17 participating in a search and rescue mission crash lands with all men on board miraculously surviving the crash. A Gruman Duck amphibious plane which is part of a daring rescue mission crashes as well and since none of the men on board survived, the plane is never retrieved. 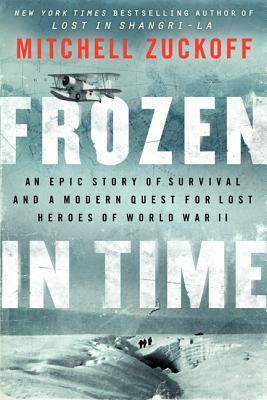 Frozen In Time tells both the story of the many daring rescue attempts necessary to retrieve the men aboard the B-17 and the modern day story of the hunt for the lost Duck.